Changing Seas has 40 episodes. 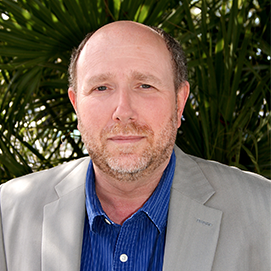 Neal Hecker began working with WPBT2 in Miami, Florida, as Program Manager in 1998. Within a year he was promoted to Director of Programming and in charge of acquiring and scheduling all of WPBT’s programming. Neal became the station’s Chief Content Officer in 2012, handling all content for WPBT2 and its multicast channels, new media, and uVu, the community video website he created in 2007. He served on the board of the Public Television Programmers Association (PTPA) and was a programming representative to PBS’s Development Advisory Committee (DAC). He is currently on the American Public Television’s (APT) Premium Service Advisory Board and has been a member of the Fort Lauderdale International Film Festival (FLIFF) board since 2009. Neal has written and produced multiple award-winning programs and series for WPBT2. © 2019 South Florida PBS, Inc.
Changing Seas is distributed nationally by American Public Television.